Demo Refresh: If you have tried Corona Renderer before and your 45-day trial expired, you will be glad to know we have automatically refreshed the demo period to give everyone extra 14 days! Simply download and install Corona Renderer 2 from the link above, and activate the demo license right from within Max, so you can try out all the new features for yourself! Enjoy! Reminder: We changed how we name our releases – this is Corona Renderer 2 rather than Corona Renderer 1.8! Just in case you missed our announcement about that in 2017, we want to remind you that we have changed how we number our releases. Every release of Corona Renderer brings with it many new features and major improvements, and we realized that really we should never have used a “point numbering” system. We decided now was the time to bite the bullet, throw out the old point numbers, and switch to naming each release with a whole number increase! 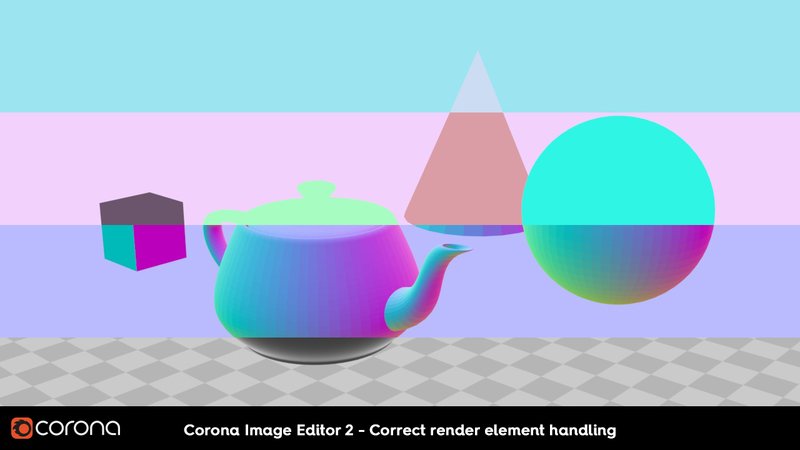 That means this release is Corona Renderer 2, and not Corona Renderer 1.8. Our next release will be Corona Renderer 3. We will continue to release smaller fixes and vital updates as hotfixes in between main versions, if necessary. Please note that this in no way changes how fast development goes, or how often we release new versions – it’s a “cosmetic” change to the name only! We’re not done expanding yet, though. If you’d like to be part of the Corona team, be sure to keep an eye on our jobs page – maybe we’ll be welcoming you in our next blog! The team has grown with the addition of Dmitrij. At the time of writing, the focus of the team is on implementing our node editor for materials. This is a big task, and as the feature is new, it’s something of an “all or nothing” rather than incremental – we don’t want to release it until it is stable and working well, and we will get that out into your hands as soon as it is ready! 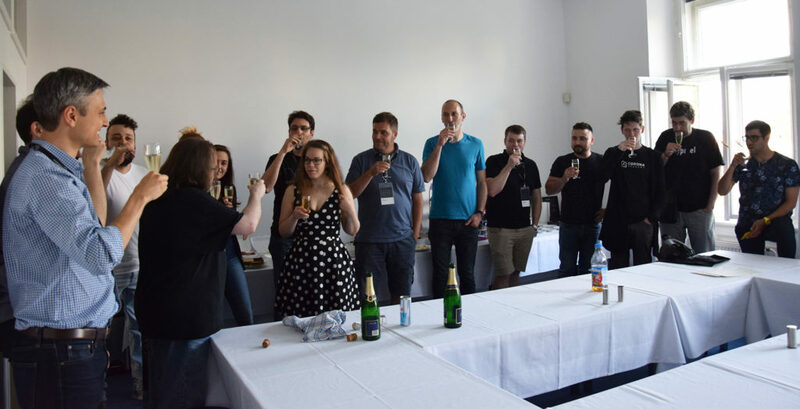 Just a few weeks ago, Corona Academy 07 set a record for the number of attendees, with 14 Corona experts sharpening their Corona knowledge. In fact, it was so many that while setting up the room, we tripped the power breakers due to having so many computers up and running in one room! Some Corona Renderer 2 information was already incorporated into the classes, and we’ll be updating and improving upon the Academy content as always. If you would like to attend an Academy, or a course by any of those who have been Certified, watch the Corona Academy page for news. The Corona Camera now adds advanced Bokeh controls for Center Bias, Vignetting and Anisotropy. As well as being added to the Corona Camera, Corona Renderer now works with these parameters from the native 3ds Max Physical Camera too. You can now specify whether using a custom texture map to define the bokeh will affect the exposure or not. When checked, the shape of the texture map may let in more or less light than the default circular aperture. When unchecked, exposure is unaffected by the custom map (the same as in earlier versions of Corona Renderer). 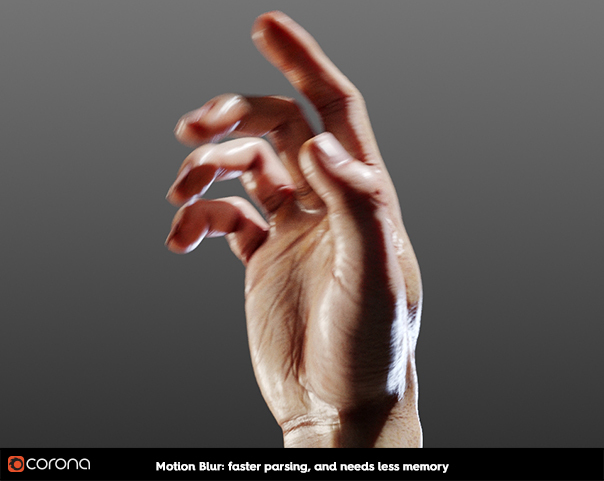 In earlier versions of Corona Renderer, the Bladed bokeh option had a different area than the default Circular bokeh, and this has been corrected. Also, the rotation of Bladed bokeh is now consistent, independent of the camera view. Real World Scale is now used in most materials. CoronaTriplanar map is now used wherever it makes sense. Resized and fixed tiling of Wall, Concrete, Leather, Metal, Rubber, Stone, and Wood materials. Fixed the scaling of CoronaTriplanar maps used in Fabrics and Leathers. 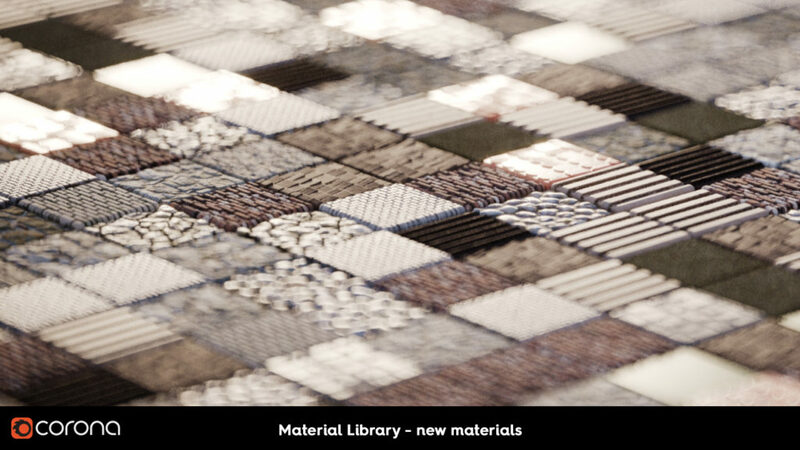 Any scenes created with materials from the older library will continue to render as before; these changes will only be seen when dropping a material from the new library into the scene, so full compatibility is maintained with your existing scenes. The Material Library data files have been moved to servers with more bandwidth, allowing for much faster downloads. Parsing of Motion Blur is now faster and takes significantly less memory. 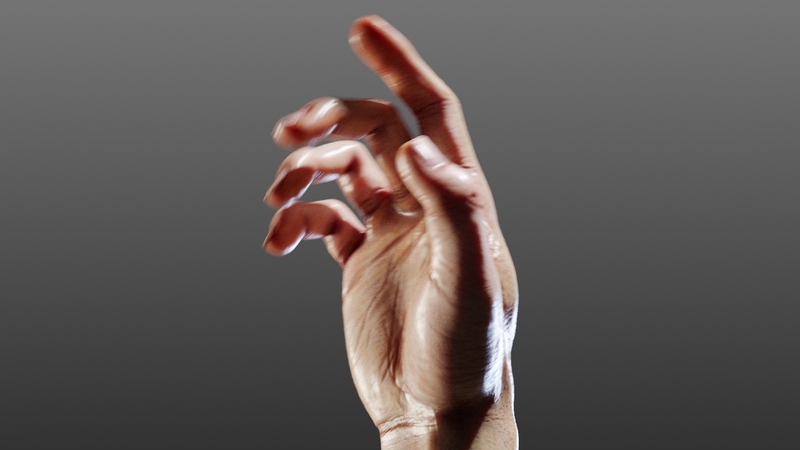 Of course, results can vary based on different scenes, objects, and motion blur types. Previously, the “Affected by Corona VFB tone mapping” option was a part of the CoronaOutput map, along with controls to adjust brightness, saturation, etc. However, most users only needed one or the other of these options, making both sets of controls in one map clumsy to use – 50% of the time, the default settings were not the ones you needed! If you need to use these two functions at the same time (as formerly with the Output map), it is also possible to use both of the maps (ColorCorrect plugged into TonemapControl) to both adjust the appearance of the texture and exclude it from the VFB post-processing. Material override options are now in a pop-up dialog, accessible from the Scene tab of the Render Setup window. The Material Overrides now let you exclude glass materials, light materials, portal materials and / or unsupported materials. Note that Corona will determine what counts as a glass material based on the material’s combination of Reflection and Refraction settings (primarily, any material where Refraction plays a significant contribution to the look of the material). The light is no longer reparsed whenever geometry changes. Only changes in geometry with portal material will trigger the reparsing. This gives up to 5% performance gain in rendering. Added bloom & glare virtual element which can be viewed and/or saved separately. This element is always automatically saved by “save all” functionality. The installer and uninstaller can now be run with various command line parameters to automate the installation process. For more information, see: How to perform silent installation/uninstallation? Useful only for power users and maxscript experts, this offers a way to assign some value to each node to use for shading. Interactive no longer starts with temporarily full render resolution for first time. This fixes excessive lag when starting interactive for the first time while having big render resolution set. Material Library’s “Select in scene” feature now also selects objects which have the material applied in Hair & Fur modifier. 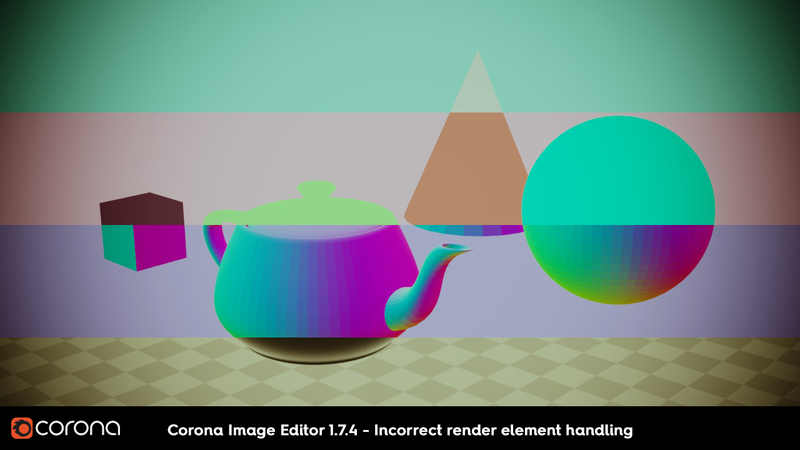 We’ve made multiple changes to adaptivity (as listed in other parts of the blog) and this means that Noise Level is not the exactly same in Corona Renderer 2 as in 1.7 and earlier. We’ve balanced it as best as we can, but be aware that a Noise Level of 4% in Corona 2, for example, may well be of higher quality than the same noise level in an earlier version (and so may take a little longer to render to that Noise Level). Providing support and compatibility for older versions of 3ds Max takes extra development time and manpower. Due to the very small number of users still using this version of 3ds Max, and in order to move forward with all the new features, functionality and software that we have planned as quickly as possible, we are discontinuing support for 3ds Max 2012. Corona is still provided for these versions of Max, but due to the nature of 3ds Max licensing, we do not have access to these versions for testing. This means these versions are not officially supported as we cannot guarantee that they will work correctly, nor can we guarantee any bug fixes for those versions (unless the problem also happens in the newer versions). Today, around 98% of all installations are on machines capable of running the Full Speed version, and we feel that this is the right time to discontinue the Legacy version. All CPUs supporting SSE 4.1 will run the full speed version. Important Note: We will continue to support running the Licensing Server on legacy CPUs (the computer won’t be able to be used for rendering). When running the installer on a legacy CPU, it will show which items can be installed (typically, just the Licensing Server). Below is an overview of some of the more major bugs we resolved this time around – the completionists among you can check out the full list of bug fixes! Note: When you load a scene with an older version of the Corona Camera, a Legacy checkbox is added to the controls and is enabled by default. This ensures backward compatibility with older scenes (you will still get the same field of view as when you saved the scene). For convenience, the Legacy checkbox is not displayed on any new Corona Cameras, or for older Corona Cameras where Tilt and Shift were not actually used (as it is redundant in both cases). Note: a proxy created in Corona Renderer 2 may not load in earlier versions of Corona. Fixed spline scattering so that it correctly respects the Offset (now entered as percentage amount of the Spacing). The change affects only new scenes. For old scenes it can be enabled by disabling the “Legacy mode” checkbox in the Scattering rollout. We’ll also be presenting more information about our ongoing research at SIGGRAPH 2018 in Vancouver, so we hope to see you there on the other side of the pond! If you would like to stay in touch with us by receiving a few emails every year about the major new releases (we promise we have never and will never send you spam! ), you can subscribe to our newsletter by following this link. And as always, you can also keep an eye on what we are cooking up on the roadmap. Did you get carried away reading, and forgot to start your download? If so, here’s that download link again, to save you from wearing out your scroll wheel! THX to corona developers, corona is just perfect for us. I have been using the Corona Daily Builder for some time, I am very excited about all the news! We are excited about it as well! Feel free to share your version 2 user experience with us. Thumbs up for glass material overide exclusion! I read Hair rendering is now supported on the standalone version, does it means native 3ds max Hair & fur only or also other solutions like Hair farm and Ornatrix? 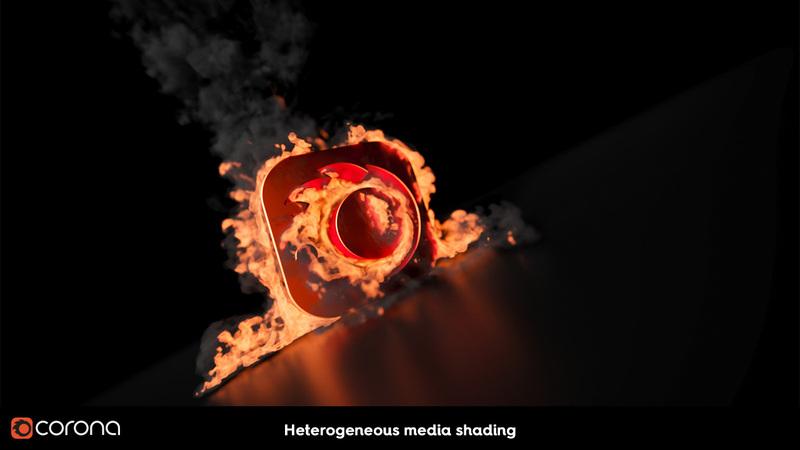 Great news for volumetric shaders! If i asked a student link to corona 1.7 can i pay in the same link and use it for the 2.0? Yes, the student license is basically a FairSaaS license limited to 1 year, so you can use any version while your license is active. Hell yeah! You did this! Congrats to all! Awesome release! Been using Corona since i studied 3D back in 2014. still loving it, keep up the good work guys! Bump maps being no longer eaten by the denoiser is a big one! VRay material rendering is a plus too, since a lot of stock models are vray-only – saves us the potential hassle. Instead of using photographic textures as the basis someone who just started dabbling in substance designer seems to have made these. Blurry, spotty, lacking detail/character. I appreciate the effort of including *something*, but these are no good beyond the very very basic previz work as they are now. At least that’s the way I see it. Talking about tiles, bricks, etc. Glass and metals obviously don’t suffer from lack of texture detail by their very nature. Thanks for your feedback. We will keep it in mind when updating our material library. Most textures have been created in Substance Designer, but some of them are based on photos as well (scanned). I didn’t want to sound mean and I surely didn’t test ALL the new materials, but the ones I randomly did test – didn’t leave me with a good, usable impression. I had problems with texture scaling on them too, but now I don’t remember whether they were too big or too small. Either way – photographic scans are always welcome. Hand-painted/made from scratch – it could work, if the artist is very proficient at doing it, but the ones I saw had no real detail. That’s my only gripe. Again, apologies if it sounded mean! Is it possible to make a neon sign? That is really cool that you can render V-Ray assets now. It would be nice to have an FD 3DS max V-Ray. Maybe that is something that I would want to look into sometime soon to have a little bit more insight. Hi! Sorry, I didn’t quite get what you meant about an FD 3ds Max V-Ray – let me know if there was a question there for us on the Corona side of things 🙂 Thanks!